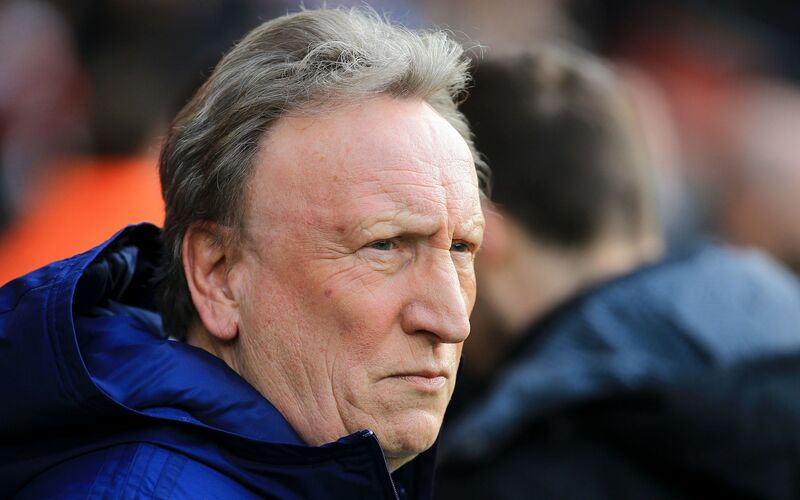 "Neil Warnock says he has fallen victim to a "vendetta" over his links with the controversial businessman involved in the Emiliano Sala tragedy. In his most candid interview since Sala was killed in a plane crash, Warnock claims he had no choice but to use Willie McKay's help in signing Sala from Nantes for £15 million. The Cardiff City manager told The Sunday Telegraph he had been "putting on a front" to give the impression he was coping with criticism and rumours around the disastrous deal. “It’s been bad, really bad behind the scenes" he said. McKay, who unregistered with the Football Association, has faced scrutiny over his business dealings after he confirmed making the arrangements for Sala's doomed flight. The Monaco-based intermediary, who was declared bankrupt in 2015, has voluntarily disclosed details of how he muscled in on the Sala deal in January and planted fake stories to create a "buzz". Warnock said of their relationship: "It’s suggested I am big pals with Willie McKay. Am I? I don’t think I am. He is an agent. You need these agents if you want to do a deal." McKay's operation in bringing players from France to the Premier League is likely to eventually fall foul of tough new rules under consideration at Fifa, The Telegraph understands. Greg Clarke, the FA chairman, refused to comment on the Sala case, but has confirmed he is working closely with Fifa on tougher curbs to ensure intermediaries are held to account. "I'm a big fan of making sure that the agents are regulated properly, and that the market is transparent and clean and conforms to best practice," he said. "I am sure most agents would want that too." Clarke will have increasing influence after being elected this week as vice-president at Fifa, which is considering a "clearing house" to scrutinise all transfers. The FA, he said, wants "sensible rules in place, drafted in conjunction with the players, FIFPro, the PFA and others that protect everybody. A transparent set of rules, a compliant set of rules, that is then adopted globally." Warnock signed two of McKay's sons last year and had also used his services to sign Sol Bamba for free. The manager categorically denies the suggestion, however, that the Sala deal took place because of their relationship. “I have been involved with three players with Willie McKay in the last eight years," he said. "One of them has been a free transfer who has proved to be our star player and one of the best in the Premier League, so you can’t knock it. It's disgusting that a lot more has been suggested, but Cardiff have dealt with these agents long before I arrived at the club. “Ask anyone in the game, if you want a player from France or a French player, 99 per cent of the time you will have to deal with Willie McKay or someone like him. If you want to get the job done, then you need the Willie McKays of this world." On Jan 8 - two weeks before the striker's death - McKay sent an email introducing himself to Sala, saying he would be able to get £1m for his mother if he signed for Cardiff. The 70-year-old added: “There has been a vendetta in some quarters, of that I am sure, and our chairman has told me he doesn’t want me to reply to them as it would destabilise the club." Warnock, whose wife Sharon has been recovering after cancer treatment, said the timing of the tragedy has been particularly hard for his family. "It has been terrible at home, the emotion of it all," he said. "I am sure everyone knows how I have also suffered for the last couple of years with Sharon’s illness." Why o why do we need agents in this day n age anyway? Its the 21st century, Why can't fifa introduce a world wide app for players where clubs can negotiate directly with the player? And all messages can be seen by fifa? Because then they wouldn't be able to skim off the top and share it all around. Anyone that thinks it's just agents lining their pockets is kidding themselves. Clubs, agents, managers, players....the last thing any of them want is clarity. I remember when steve Borley became chairman of the club the greed of the players and their agents shocked him and was a real eye opener into the murky world of transfers. As lecter said even in those days the number of people involved trying to get a piece of the cake was incredible. When you see players kissing their badge it’s because their extortionate contract is sewn behind it with a few notable exceptions at our club past and present. I do wonder about the signing of McKay's sons and the quiet exit of both of them on loan, one on deadline day. It is probably sensible to put some distance between them and Cardiff at the moment, but I seem to remember that it was something of a coup that City had got them from Leeds. I didn't realise the family connection until now, though. I do wonder about the signing of McKay's sons and the quiet exit of one of them on loan on deadline day. Sort of makes perfect sense to me . Ok hindsight may make things look iffy but not a bad idea taking on a super agents sons as it could give us some sort of advantage(even if small) in getting players. Everyone is looking for that little edge and I doubt it cost the club much in wages. Obviously as things have turned out it could look bad but who the hell expected what developed.